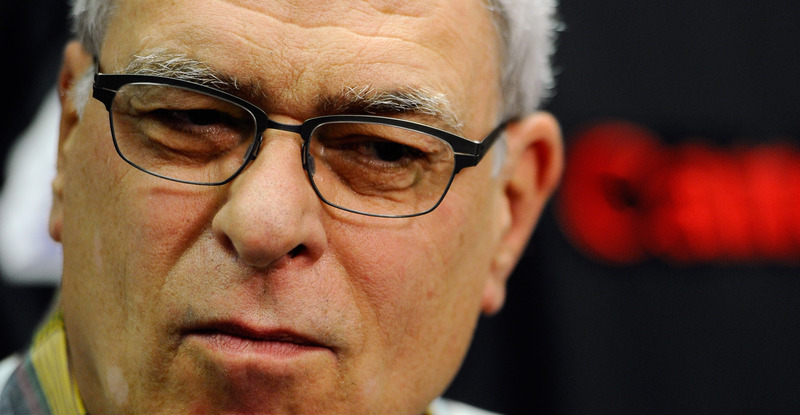 Phil Jackson gave a lengthy interview with ESPN’s Jackie MacMullan, in which he touched on a variety of topics. It’s not necessarily the most flattering portrait of Jackson, to be sure, even though it was far from a hard-hitting interview. One section, on the friction between LeBron James and the Miami Heat, caught the attention of Maverick Carter, one of LeBron’s closest advisors. It had to hurt when they lost LeBron. That was definitely a slap in the face. But there were a lot of little things that came out of that. When LeBron was playing with the Heat, they went to Cleveland and he wanted to spend the night. They don’t do overnights. Teams just don’t. So now (coach Erik) Spoelstra has to text Riley and say, ‘What do I do in this situation?’ And Pat, who has iron-fist rules, answers, ‘You are on the plane, you are with this team.’ You can’t hold up the whole team because you and your mom and your posse want to spend an extra night in Cleveland. I always thought Pat had this really nice vibe with his guys. But something happened there where it broke down. I do know LeBron likes special treatment. He needs things his way. It’s not an unfair point from Carter. Jackson’s attitude there is a bit disrespectful. Whether that’s a racial issue or a generational issue or both, though, is difficult to say. To be honest, even the most generous interpretation of Jackson’s language reads as dismissive disrespect. In any case, Phil’s anecdote about LeBron comes across as a bit odd, considering he’s at best a third party; it’s an odd swipe to take. As for Jackson’s claim of “special treatment” for James, the Heat did stay in Cleveland following their game against the Cavaliers once while James was a member of the Miami franchise in order to go as a team to his house for Thanksgiving dinner the next day. The New York Knicks are 4-6 to start the season.